Finally, after countless lives lost and ruined, the Grapefruit wars are over. AT LAST the grapefruit has heen conquered. 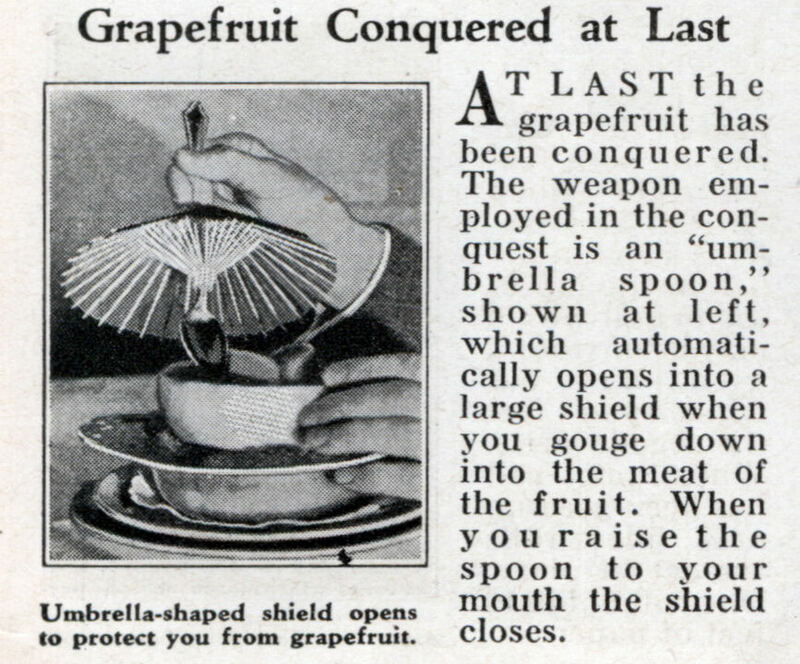 The weapon employed in the conquest is an “umbrella spoon” shown at left, which automatically opens into a large shield when you gouge down into the meat of the fruit. When you raise the spoon to your mouth the shield closes. This spoon mounted umbrella shaped shield from 1933 saves eyeballs from deadly, well, annoying, flying grapefruit acid – Link……. 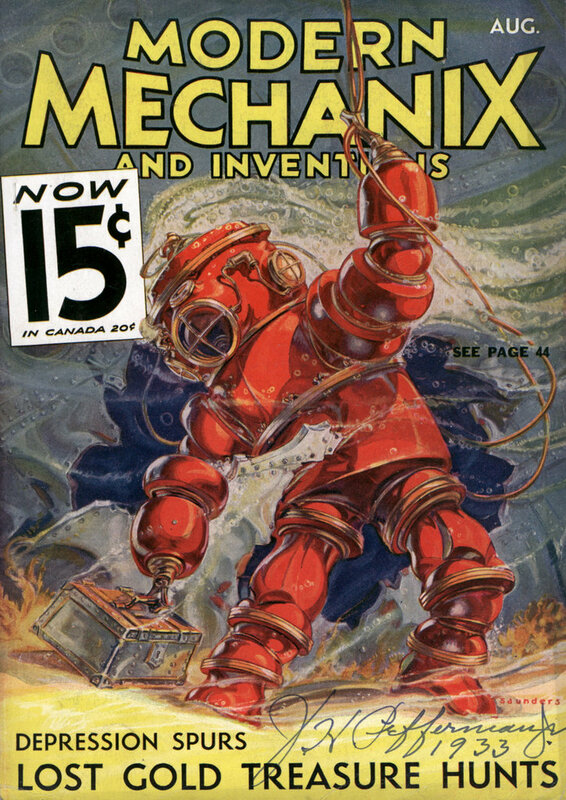 It would appear that the Chindogu concept is about 60 years older than we thought. uhm…it would seem that if the umbrella closes when no pressure is on the spoon it would close over the “head” of the spoon itself, making the whole thing pointless really. Notice the size of the umbrella and the proximity to the “head” and you’ll see what I mean. WOW I just realized that this invention is very similar to the Japanese peoples innventions of today. We were experimenting in creativity 50 years ago the same way that the Japanese are experimenting with creativity. So in terms of creativity would that not make the Japanese a few years behind the US. Who the hell eats frikkin grapefruits? What Gets me is how are you expected to clean the umbrella afterward?